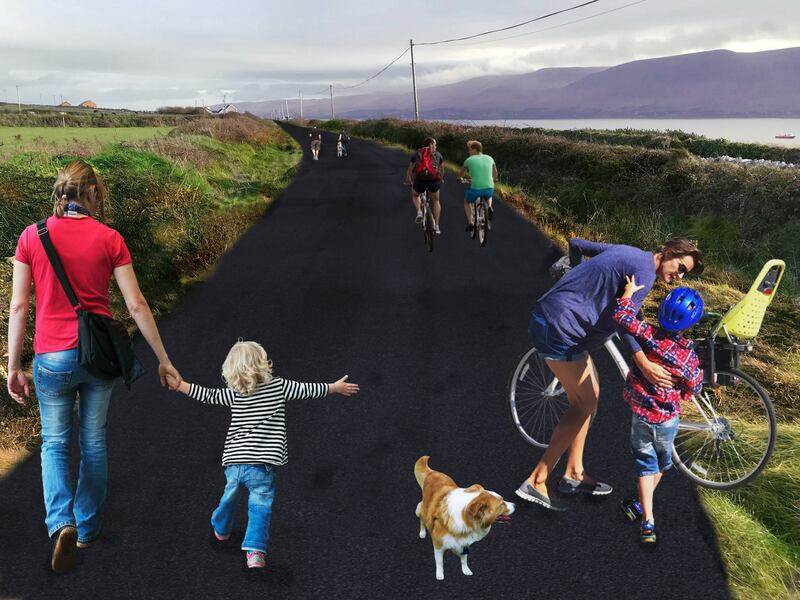 Kerry County Council is holding a public consultation day regarding the proposed Tralee to Fenit Greenway. 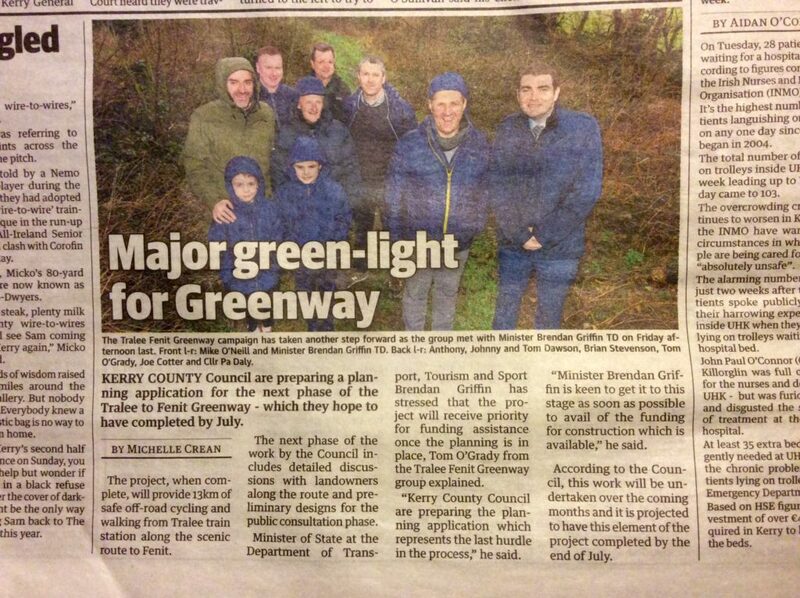 Maps of the route of the proposed greenway will be on display for inspection throughout the day. 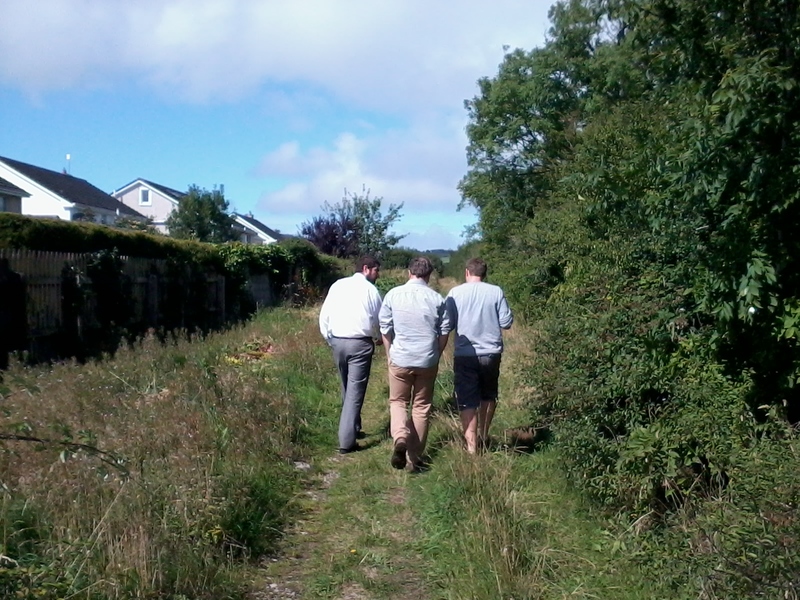 Kerry County Council officials will be available to discuss any aspect of the project on a one-to-one basis with landowners and interested parties during the hours specified above. In the event that a person cannot attend, an appointment can be made on an alternative date in their office in Tralee or at their landholding if preferred. 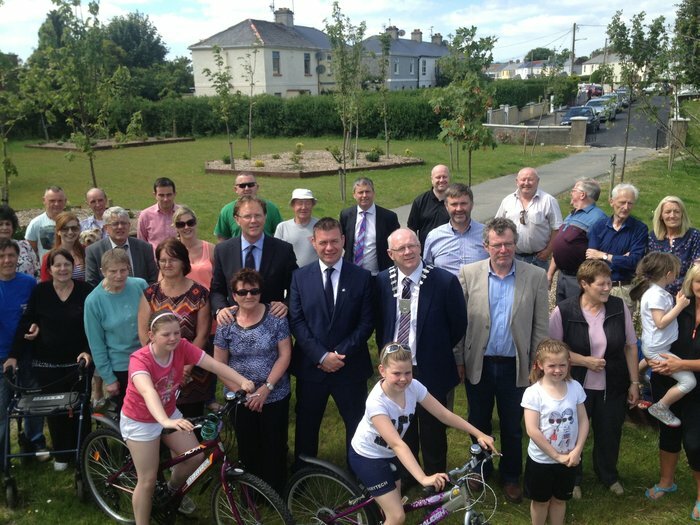 There will also be a public consultation the following day regarding the proposed Great Southern Trail from Listowel to the County Bounds. 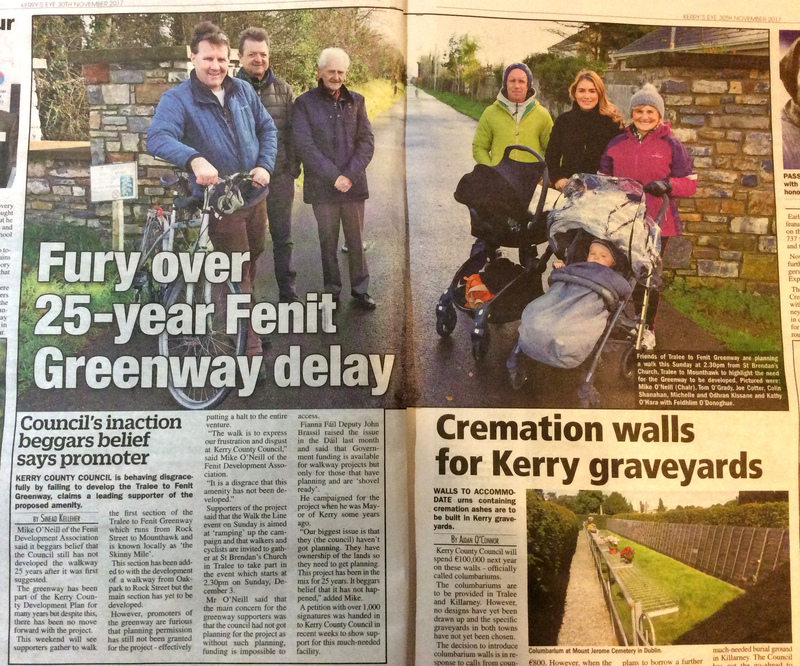 Great news around hopefully Ireland’s longest Greenway from Fenit to Limerick is not too far away, please come out and support Kerry County County Council on these projects. 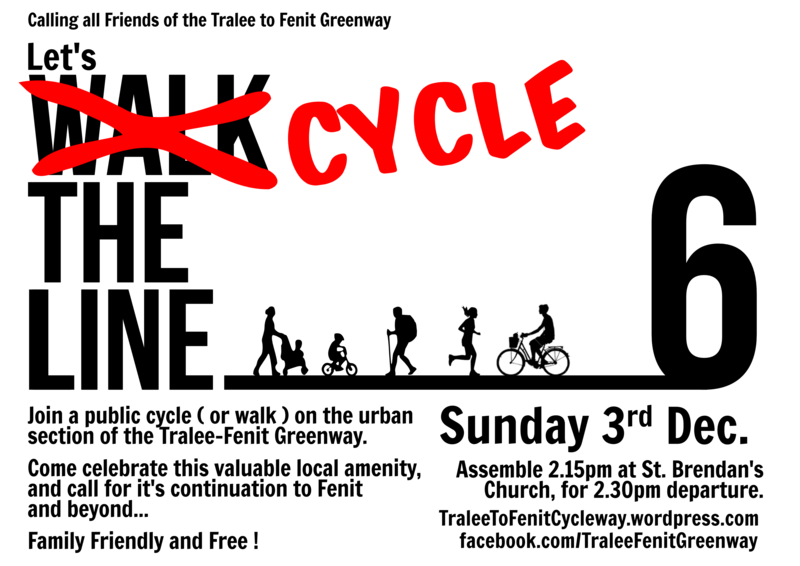 Posted in Dail, Great Southern Trail, Tralee to Fenit Cycleway/ WalkwayTagged John Brassil, Leo Varadkar, Minister for Transport, TaoiseachLeave a Comment on John Brassil raises the Greenway in the Dáil. 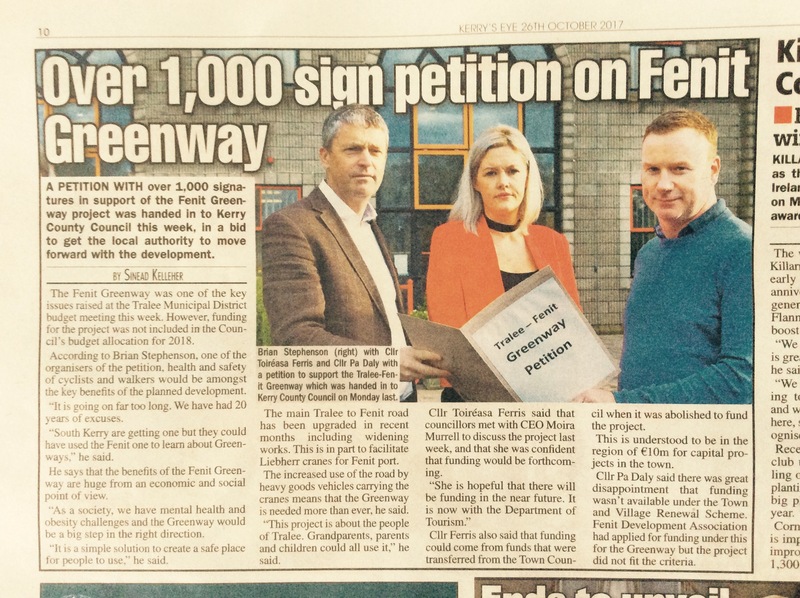 An online petition with over 1000 signatures in support of the Tralee to Fenit Greenway was presented to Kerry County Council last week, this petition follows the previous petition with approximately 1000 signatures which was submitted to Tralee Town Council in 2012. 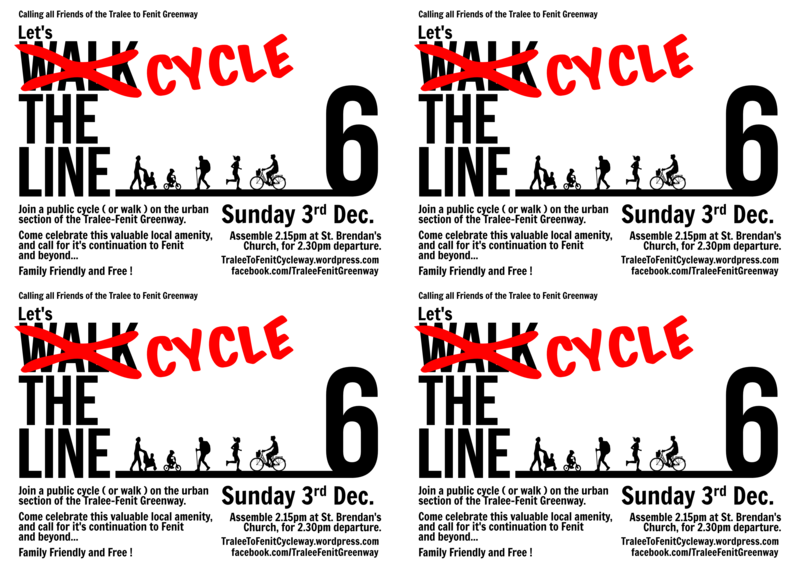 The submission coincided with the Tralee Muncipal District Budget meeting which yet again saw no funding provided for the project, while concerns were raised about the proposed Tralee Fenit Greenway not being included in the coming year’s budget only Cllr’s Ferris and Daly voted against the budget, which passed after the other seven Tralee councillors: Foley, Locke, McEllistrim, O’Brien, McCarthy, Finucane and Spring voted in favour. 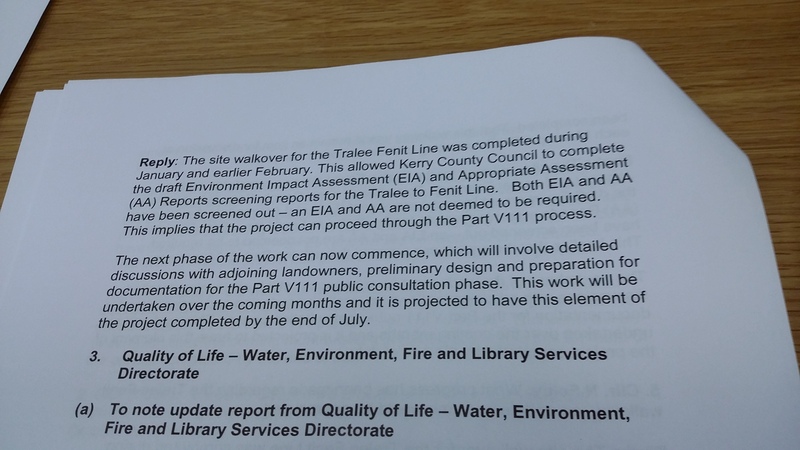 While this maybe suggest that a funding bid has been made to the department this is not the case and the indications from the department are that in order to be successful in a funding bid planning would need to be in place. 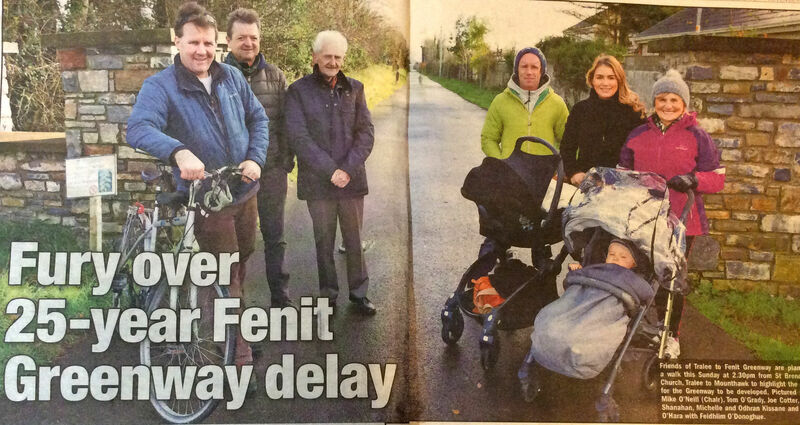 How can Kerry Co Co keep saying this project is a priority and then continuously fail to allocate any funding ?